A reader sent in this info about the one time Lefty's turned Roxxy's location on State Street near the Capitol. "There is a lot of activity at the old Roxxy site on State street. Including plumbers, electrical, sound system people etc. A co-worker talked to a guy doing some load in, and learned the spot was scheduled to re-open in approx two weeks but was a little evasive on the format. They did indicate it would have music and entertainment but no trade name or menu types was offered. Also that it would only be opened evenings." Could it be a new music venue? Will this work? What will it take to get you in the doors of this restaurant? Thanks for the tip. 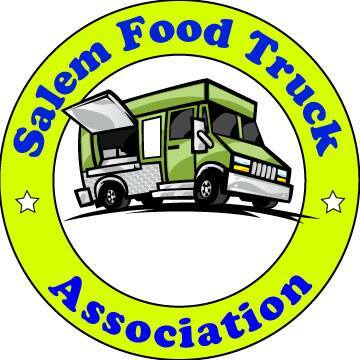 If you have info on what's happening in Salem restaurants send it in to eatsalem@gmail.com. There were rumblings some months ago about another Pizza joint going in there but, so much time had elapsed, I pretty much wrote them off. I'll see what I can find out. Here’s the scoop! I talked with the new owners just now. It will open under the old Roxxy name. It will be a Pizza place with a “ramped up” menu. The owners want it clearly understood that the new Roxxy will be under new ownership and management and that they have no association with their predecessors. A full liquor license is pending. However they anticipate opening with or without it in approximately two weeks with a refurbished sound system. They plan to feature live music at night and children’s entertainment earlier in the day. The guys I met seem like real nice folks. I plan to be among their first patrons. Nice work Chuck!This location has the potential to be really great. I miss Lefty's. It seems like people would learn from the past and not try to put yet another pizza place in here. IMO it goes deeper than -don't try another pizza joint in this location. children's entertainment? could this be a barcade?? I remember having pizza there when it was Lefty's. I didn't LIKE it! That only means that the pizza recipe wasn't good. If there were tasty SPECIALTY pizzas, it might work out. (As long as they don't price themselves too high). As for Early Family, and late grown up entertainment, it could be quite a mixed bag. I wish the NEW owners good luck and plenty of business savvy! If you wanted to make a fresh start, why would you keep the name of a business that failed in the same location? Maybe they do not want to pay for a new sign? It does seem strange that this place keeps reopening as the same thing and failing. I always thought Roxxy's was going gangbusters with the music aspect---every time we went it was wall-to-wall packed. I always thought it had a decent location since Willamette University and state offices were nearby.I'll keep my fingers crossed on this iteration. You have to have deep pockets to make this location work. The overhead is high and it's an odd location not being near population center. Willamette students do not spend much outside campus. You have the state buildings but you are competing with established cafeterias. I wish them the best but I sure hope they have 100k working capital and a lot of experience successfully running a similar operation. A new name would really help but to replace that sign would be 15k.